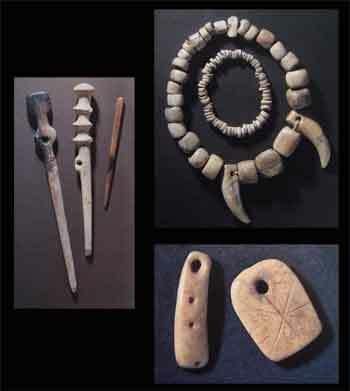 Many wonderful artefacts have been discovered during several archaeological expeditions. This marvellous collection includes dice, hand tools, pottery and jewellery many of which have intricate Celtic designs . These spectacular pieces of craftsman ship can be found at the Skara Brae visitor centre. This is a satellite view of Scara Brae. As you can see Scara Brae is very close to the sea but years ago when it was built it wasn’t so close, the cliffs have eroded away through the years leaving Scara Brae more vulnerable than ever. You can see from the over head view you can see all 8 houses. For some reason the inhabitants of Skara Brae left the settlement. Historians know this because their has been no human bones found near the site. Now it’s up to you to decide what you think happened in this Skara Brae poll! Why setttle in Skara Brae ? To many it is a mystery why Neolithic people would want to settle in windy, wet Orkney but historians have suggested reasons why they may have picked Orkney to settle in. Here is a link to an interesting documentary about Scara Brae. 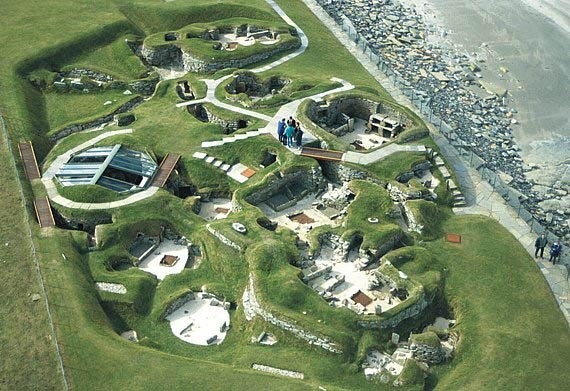 Skara Brae was a late Neolithic settlement that was inhabited from 2200-3200 Bc. It was located on the southern shore of Sandwick. It consists of 8 stone houses that were closely linked by tunnels. Historians have thought that no more than 100 people settled in Scara Brae at the one time although remains of pottery and tools show that the villagers were skilled craftsmen. 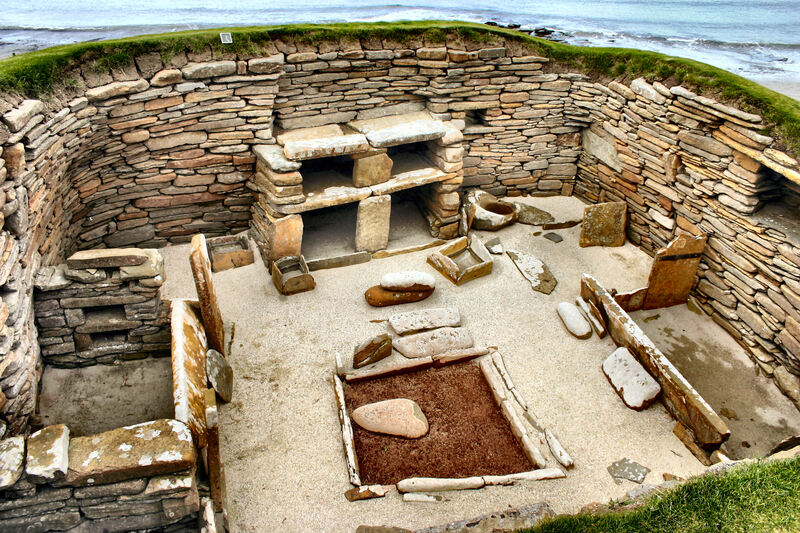 The average house in Skara Brae consisted of a large heath in the center of the room and a stone bed with a heather mattress and animal skin blankets for comfort. Each house also had a stone dresser so the inhabitants could display their valuables. It is thought that the houses in Skara Brae were made for a perishable organic material as their is nothing left of SkaraBrae’s roofs. A history project about Scara Brae . Scara Brae became a Unesco world heritage site in 1999 because of it’s historical importance. The site was first found in 1850, after a storm exposed some of the ruins. However, it was wasn’t thoroughly excavated until the 1920s when another storm uncovered one of the houses. It is situated in the Orkney isles just north of Scotland and is one of northern Europe’s most important stone age discovery’s . This blog was created by Becky Gillan as part of a history project.